Private Party Class. Paint Bar and Freestyle Still Open to the Public! This is just indicating that we have a group class going on. Studio Cellar is still open to the public, our space is huge. Come on out! 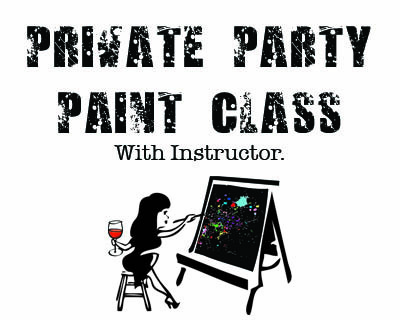 Sign up for the other class available or walk in to freestyle at the Paint Bar!